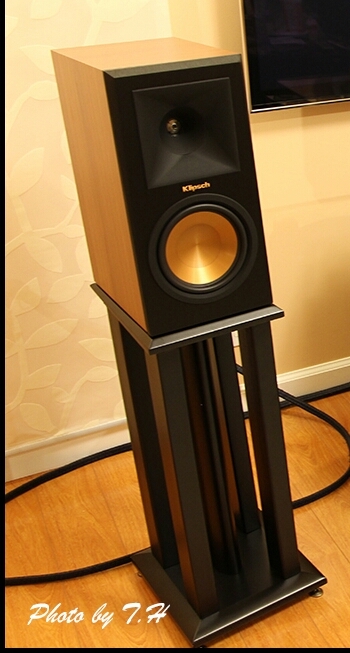 What bases do i need for Klipsch RP-160M speakers? I am searching for like this in attached picture. Welcome to the forums. I would go with a stand that puts them at ear height, or just above. There are many designs that will work just fine. I know some people will use ones that you can fill with sand. It helps to keep them from resonating and adds weight to the stand such that they are less likely to be knocked over. they have a big footprint so ones with a large shelf are good for stability, as are ones you can fill as mentioned above. Does these placed Screwed up on the base? As i can see the dimensions of RP160 is 42,4Χ22,4X32,7 cm, so i can ask about this in a store. 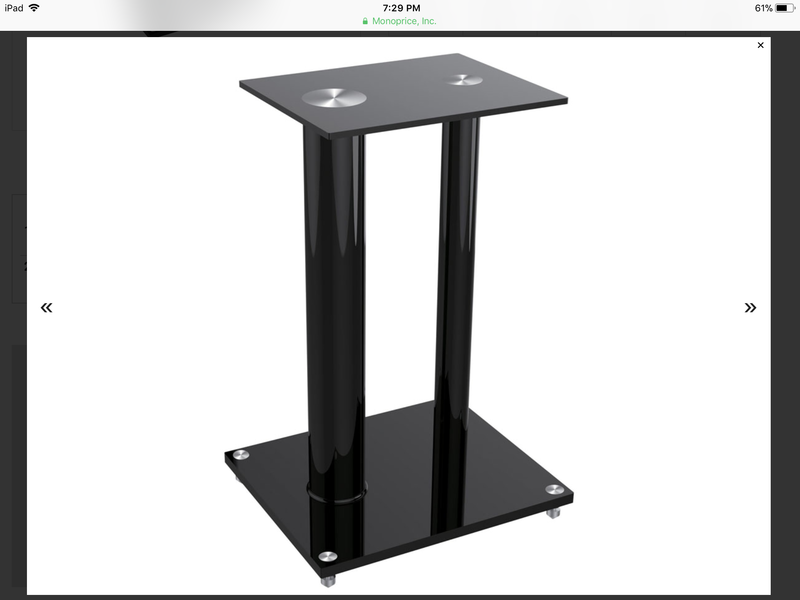 The rps have a plinth, or wood base that is screwed into the speaker itself.. i do not know how/if u might be able to make them work with the base too. The screws do come out in case u dont want to use the base so . it's possible, but I have no idea how the might line up. I looked at mine, there are 4 screws and they look to be about 2 inches from each edge of thr base. Where do you have put yours? In this picture is screwed on the base or is just placed over? In most cases bookshelves are just placed on the stands. It would completely depend upon the individual and their parameters. In a kids and pet free environment no stands would be fine. Those RP160ms are bricks though so I would at a minimum strap them down if not find a way to attach them. There are sticky connectors you can use like a putty that stick them down well, or if made for the speaker, holes might line up. I used velcro for a friends setup and it worked amazingly. I stuck a big set of strips onto the stand, plugged them into their counterparts, removed the sticky tape and then pressed the speaker down in the right place and then we tested it by pulling the speaker off. It has worked great. Mine are on wall mounts, and also safety strapped for good measure. I dont want one person or pet hurt by a falling speaker nor do I want to damage the speaker or furniture/floor. There are many other options, look around and pick what u like. It only needs to support the weight and be relatively stable. Some have clamps or connector screws. Yes its a little dangerous to falling down. With safety strap or strong double tape under them is a good idea. Also the safer i think is to screw the base down to the floor, but this will damage a little the tiles. Thanks a lot for your help! I used Monoprice stands for mine. Sit on top perfectly. $55.00. Well made, solid stand. I don’t have the speakers attached to stand. The speakers sit almost perfectly on them. Look at them at monoprice.com or amazon. i removed the bases on the speakers.